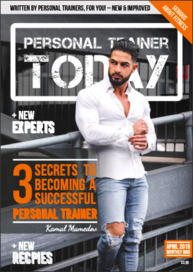 PT Today is the UK’s newest premier magazine created for personal trainers by personal trainers. Each issue brings you the latest from the industry you know and love. With fantastic features on Nutrition, Training, CPD’s Equipment and Business marketing there is something for everyone. We are offering all readers the option to get 12 issues of PT Today for the price of 8. Saving you a rather hansom £15.76 in the process. Not only that but you get to receive every issue of PT for 2019 ensuring you can keep on the forefront of all the fitness news that you could ever want. 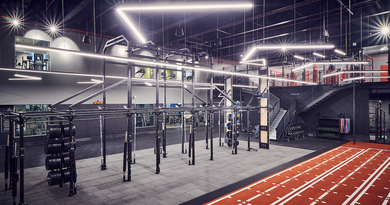 You will get access to exclusive offers from PT Today and our partners, training courses, equipment, apparel, holidays and on top of that get to keep up to date with the industry you know and love. Please note that we use PayPal for all of our subscription payment handling services. Paypal operates an auto-renewal on all subscriptions, please be sure to cancel your auto-renewal if you do not wish to continue to receive PT Today for the second year. Customer mailing data will only be used for the purpose of sending out hard copy issues of PT Today to subscribers. We do not sell your data to any third party. We store all mailing data offline on a secure server for your protection.